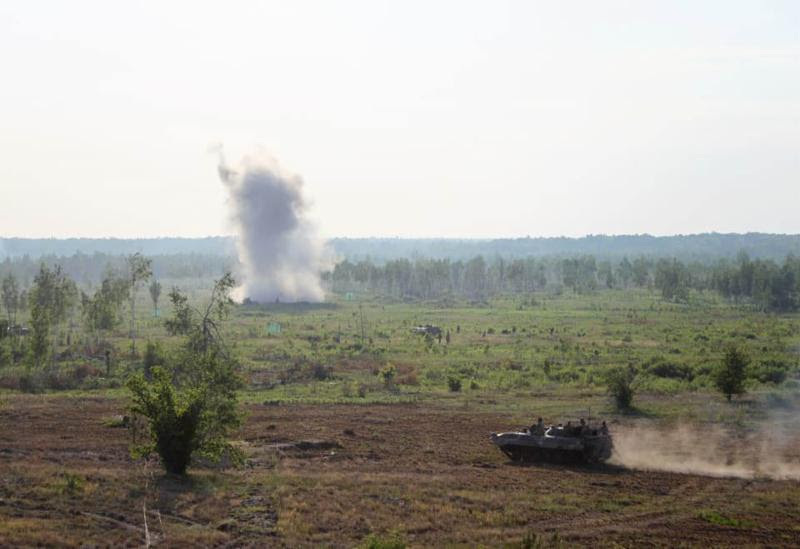 Ukrainian Armed Forces training exercises. Ukraine’s Ministry of Defense reported at 12:30 PM Kyiv time that in the last 24 hours, no Ukrainian soldiers were killed and one Ukrainian soldier was wounded in action. In the last 24 hours, Russian-terrorist forces opened fire on Ukrainian positions on the Luhansk and Donetsk sectors of the front 23 times in total. 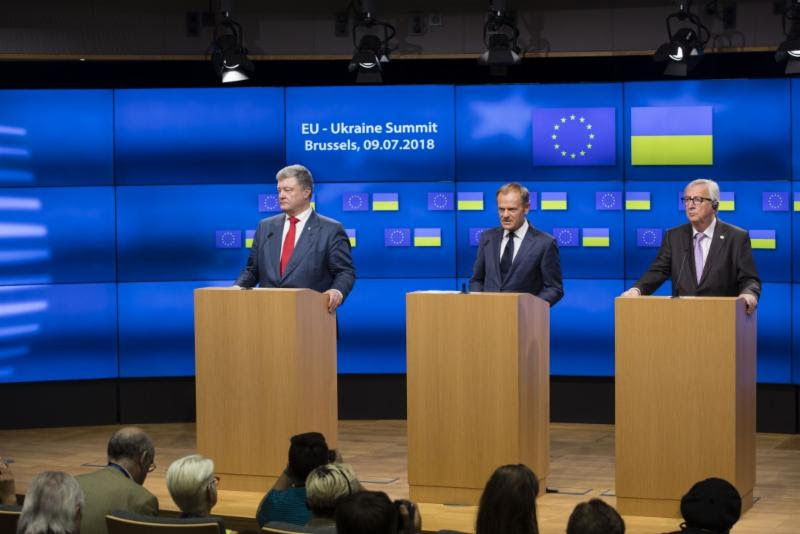 Following the 20th EU-Ukraine Summit on July 9, Ukraine’s President Petro Poroshenko, President of the European Council Donald Tusk, and President of the European Commission, Jean-Claude Juncker, issued as joint statement, in which they stated, “We, the leaders of the European Union and Ukraine, gathered today to reaffirm our continuous commitment to strengthening the political association and economic integration of Ukraine with the European Union, on the basis of the Association Agreement and our common values of democracy, the rule of law and human rights. 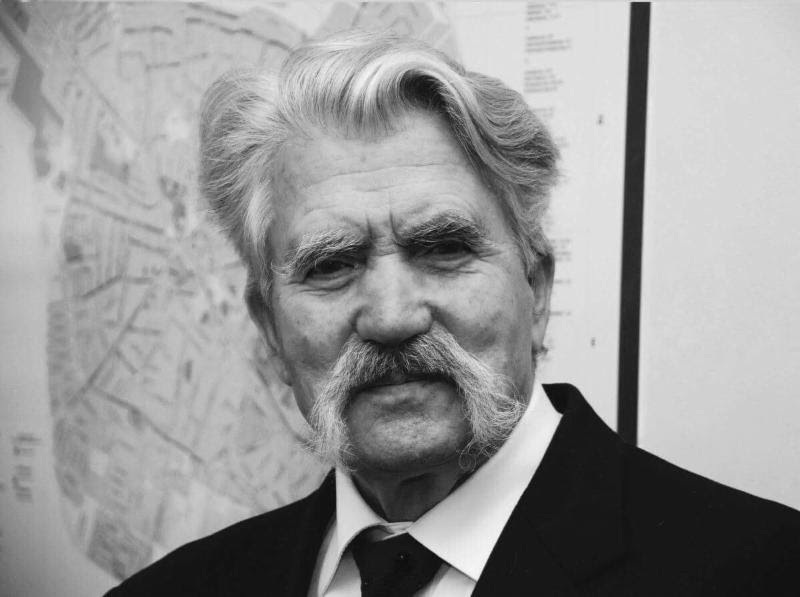 Levko Lukyanenko, Soviet-era Ukrainian dissident, founding member of the Ukrainian Helskinki Group, and former Ukrainian Ambassador to Canada, passed away at the age of 89 on July 7. For his unwavering commitment to Ukraine’s independence, Lukyanenko was arrested for the first time in 1961, persecuted by Soviet authorities and spent over 25 years in Soviet prisons, labour camps and exile. He was one of the last political prisoners released from the Soviet Gulag, in 1988. Lukyanenko was one of the authors of Ukraine’s Declaration of Independence in 1991. Lukyanenko’s funeral was held today in Kyiv. The requiem was conducted at St. Volodymyr Cathedral by Patriarch Filaret. The US Navy 6th Fleet reported, “The 18th iteration of exercise Sea Breeze kicked-off following opening ceremonies in Odesa and Shiroky Lan training range, Ukraine, July 9, 2018. Sea Breeze is designed to enhance interoperability among participating nations and strengthen regional security by focusing on a variety of warfare areas. Reuters reported on July 9, “Russia has committed an attack that resulted in the death of a Briton, defense minister Gavin Williamson said on Monday, linking Russia to the incident after a 44 year-old woman who was poisoned by nerve agent Novichok died. Williamson was asked in parliament about the threat facing people in Britain after the death of Dawn Sturgess on Sunday.